Deutsche Bank is even more deeply involved in the large money laundering scandal at Danske Bank than previously assumed. According to business newspaper Financial Times, the German bank processed another 31 billion euros in dubious money flows, on top of the 132 billion euros previously reported. Deutsche Bank is even more deeply involved in the large money laundering scandal at Danske Bank than previously assumed. According to business newspaper Financial Times , the German bank processed another 31 billion euros in dubious money flows, on top of the 132 billion euros previously reported. Danske Bank is accused of money laundering through an entity in Estonia, which processed billions of euros of dubious money flows between 2007 and 2015. It would include criminal money from Russia. Deutsche Bank was a kind of intermediary in these transactions and now seems to have been involved in the vast majority of the dubious flows that ran through Danske's Estonian subsidiary. Among others Danish and American authorities are investigating the affair. 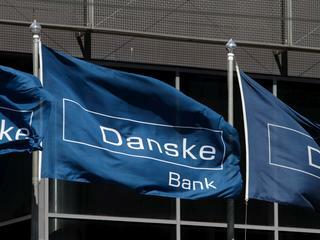 It was recently announced that Danske, the largest bank in Denmark, received a preliminary indictment from the Danish authorities. Earlier, the issue involved the CEO and the chairman of the bank. On Tuesday, Zembla and NRC reported that the Public Prosecution Service (OM) is going to investigate the role of Dutch banks and companies in the money laundering case. Do you want the best of the economics and tech editors in your mailbox every Saturday? Subscribe now to our Business of Tomorrow newsletter!